Which are the kids’ footwear trends for spring summer 2019? We found it out during the 86th edition of MICAM Milano, the leading international footwear exhibition promoted by Assocalzaturifici Italiani. 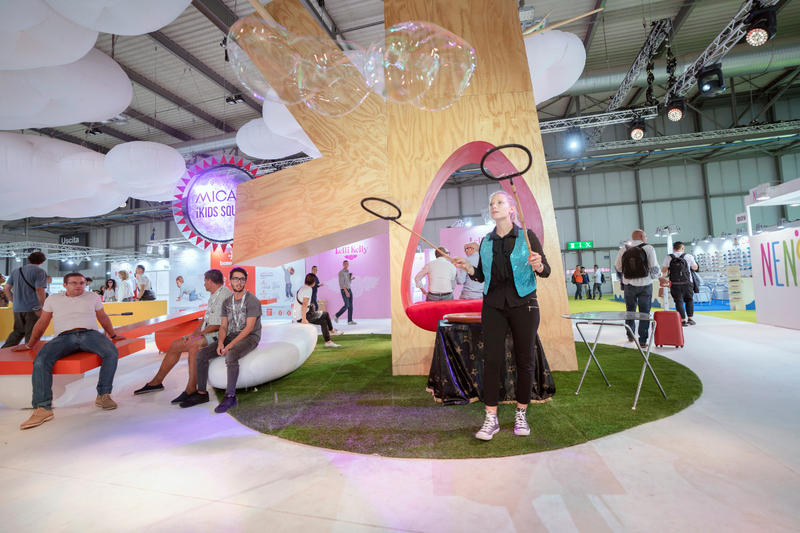 Held in Fiera Milano (Rho Fieramilano), the fair takes place twice a year and presents next season footwear collections for men, women and kids. This has become a traditional appointment for us (see also here), that represents a unique opportunity to do network and to exchange know-how in the world of kids’ footwear. Many prestigious names were present including Asso, Balducci, Falcotto, Missouri, Naturino and Primigi just to name a few of the Italian brands that were shown alongside with selected international one. A selection that is the envy of all concerned: this is the sin with which Italian footwear continues its allegorical journey in Purgatory, while also serving as the theme of the 86th edition of MICAM. But, which are the kids’ footwear trends for spring summer 2019? Footwear trends for spring summer 2019 season, kids’ footwear included, are drawing inspiration from meditation, both physical and mental well-being, and feeling good with oneself and the others, with a colour palette that can positively affect everyone’s mood. Carry one reading below to find out the three kids’ footwear trends for spring summer 2019 that we have selected for you! Quali sono le tendenze della primavera estate 2019 per le scarpe bimbo? 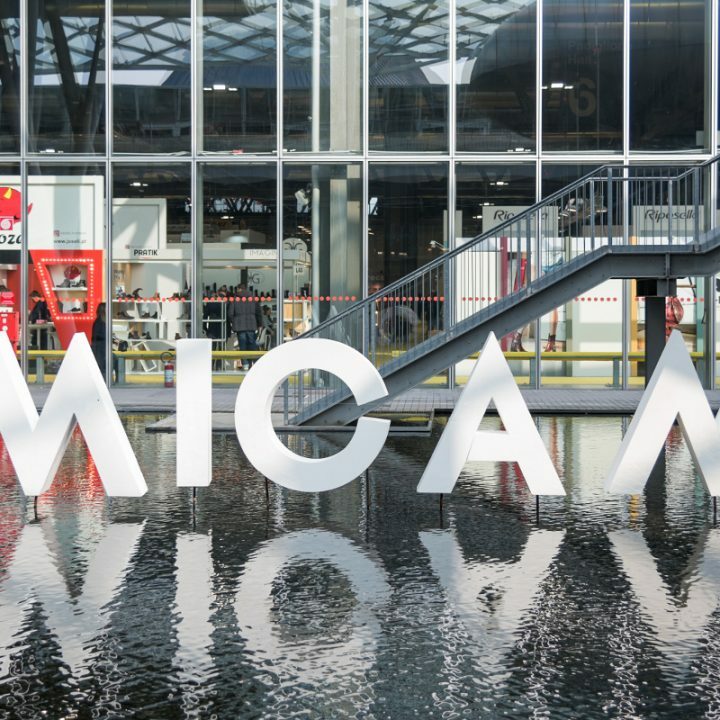 Lo abbiamo scoperto durante l’86esima edizione di MICAM Milano, la principale fiera internazionale della calzatura promossa da Assocalzaturifici Italiani. Organizzata a Fiera Milano (Rho Fieramilano), MICAM si svolge due volte l’anno e presenta in anteprima le collezioni di calzature dell’anno successivo per uomo, donna e bambino. Questo è diventato per noi un appuntamento tradizionale (vedi anche qui), che rappresenta un’opportunità unica per fare network e scambiare know-how nel mondo delle scarpe bimbo. Numerosi i prestigiosi marchi presenti in fiera tra i quali Asso, Balducci, Falcotto, Missouri, Naturino e Primigi, solo per citarne alcuni italiani che si sono affiancati ad una selezione di nomi internazionale. Una selezione da fare invidia a chiunque! E proprio l’invidia é il peccato con cui il settore calzaturificio italiano ha proseguito il proprio viaggio allegorico in Purgatorio e che è stato usato come tema conduttore dell’86a edizione del MICAM. Ma quali sono le tendenze della primavera estate 2019 per le scarpe bimbo? Le tendenze per la prossima stagione estiva nel mondo della calzatura, bambino incluso, traggono ispirazione dalla meditazione, dal benessere sia fisico che mentale, dal sentirsi bene con sé stessi e con gli altri, con una palette cromatica che ha la capacità di influire positivamente sull’umore. Continuate a leggere qui sotto per scoprire le tre tendenze della primavera estate 2019 per le scarpe bimbo che abbiamo selezionato per voi! 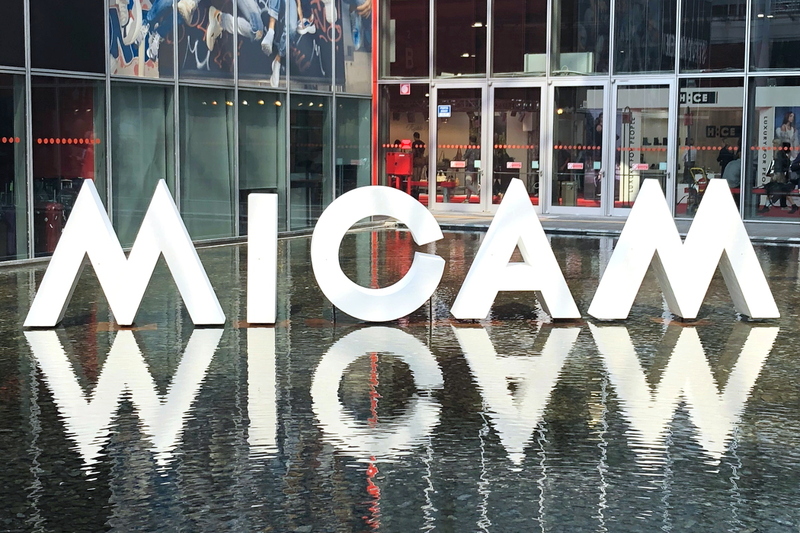 Declined in every possible sway, made with many different materials, sneakers are the most popular item of the spring summer 2019 collections seen at MICAM 86. They will be key items for both boys and girls. Declinate in ogni forma possibile, realizzate con i materiali più diversi, sono le sneakers le calzature più presenti nelle collezioni primavera estate 2019 in mostra al MICAM 86. 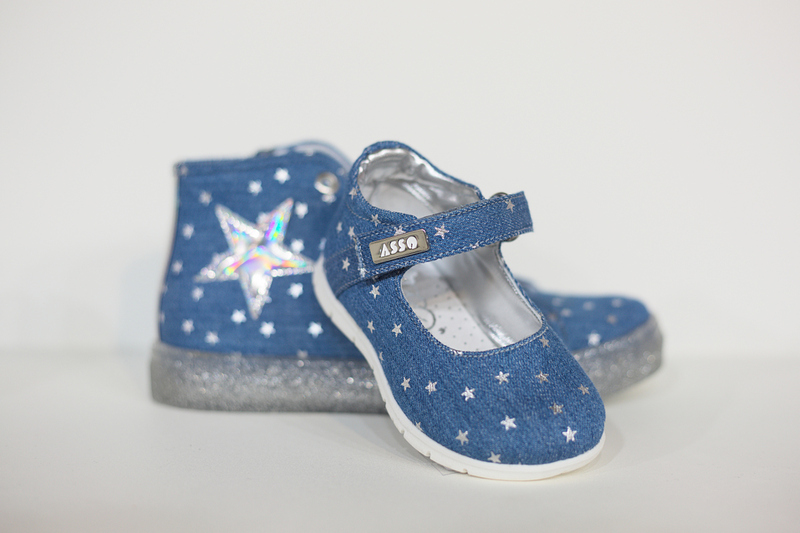 MICAM 86 kids’ footwear trends for spring summer 2019 - Asso's sneakers in denim with silver stars. Some of Asso's prints for spring summer 2019 are available for babies as well as girls/moms. 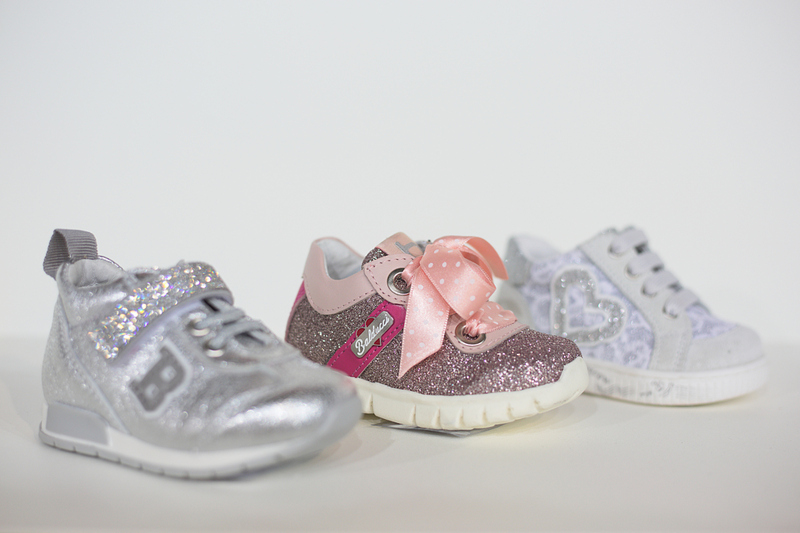 MICAM 86 kids’ footwear trends for spring summer 2019 - Balducci's sneakers with glitter details and lace. MICAM 86 kids’ footwear trends for spring summer 2019 - Falcotto's sneakers are a glittering LOVE declaration! MICAM 86 kids’ footwear trends for spring summer 2019 - Missouri's glittering LOGO sneakers in soft leather. Logo shoes will be a strong trends next season especially for slide. MICAM 86 kids’ footwear trends for spring summer 2019 – sandals, sandals and… more sandals! With a double digit year on year growth registered during summer 2018, sandals are expected to carry on growing next summer season. Fisherman sandals for our little girls, flatform sandals characterised by high flats for young women or sporty leather sandals for boys, sandals will be the protagonists of the season. MICAM 86 e le tendenze della primavera estate 2019 per le scarpe bimbo – sandali, sandali e… ancora sandali! Dopo aver registrato durante la primavera estate 2018 un incremento anno su anno a doppia cifra, i sandali continueranno a crescere anche nel 2019. Sandali da pescatore per le più piccole, sandali flatform caratterizzati da suole molto alte per le più grandi o ancora sandali sportivi in morbida pelle per i maschi, i sandali saranno i protagonisti della stagione. MICAM 86 kids’ footwear trends for spring summer 2019 - Balducci's sandals with an elegant retro touch. MICAM 86 kids’ footwear trends for spring summer 2019 - Falcotto's sandals in an irresistible animalier print. In evidence the fisherman sandals that will be a must have for next season. MICAM 86 kids’ footwear trends for spring summer 2019 - Missouri's sandals (and sneakers) with sophisticated multi colour flowers appliqué. MICAM 86 kids’ footwear trends for spring summer 2019 - Naturino's sandals with crwons of leathers flowers on the front. MICAM 86 kids’ footwear trends for spring summer 2019 - Primigi's sandals (and sneakers) with an adorable pink flamingo's print. Spring summer 2019 will be painted in silver and gold embellished with lace, beads and studs for the happiness of our girls! La primavera estate 2019 dei nostri bimbi avrà ai piedi i preziosi colori dell’oro e dell’argento abbelliti da pizzo, perline e pietre per la gioia delle nostre bimbe! MICAM 86 kids’ footwear trends for spring summer 2019 - Asso's sneakers with a silver structure covered with a romantic lace layer embellished with silver flowers. Another Asso's prints for spring summer 2019 available for babies as well as girls/moms. 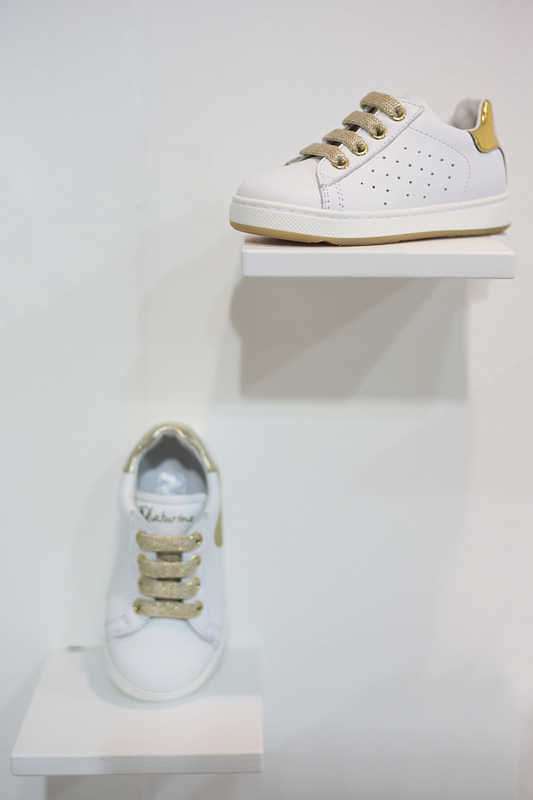 MICAM 86 kids’ footwear trends for spring summer 2019 - Falcotto's gold sneakers in soft leather. Falcotto focuses on the first steps of your child and it includes shoes from 9 months to three year only. MICAM 86 kids’ footwear trends for spring summer 2019 - Missouri's precious gold sandals (and sneakers) with jewels studs. MICAM 86 kids’ footwear trends for spring summer 2019 - Primigi's gold sneakers with sophisticated closure recalling a high cut-loafer. MICAM 86 kids’ footwear trends for spring summer 2019 - Primigi's silver and gold sneakers with soles that light up. Check out on our Instagram stories highlight how it works!